June 2018 issue of National Geographic. As a global brand with a rich history of scientific discovery and exploration, National Geographic is uniquely positioned to tackle this crisis in a way that only National Geographic can — through storytelling and science. The Planet or Plastic? initiative will leverage the power of National Geographic’s media portfolio around the world and the expertise of National Geographic’s explorers and scientists who are witnessing firsthand the devastating impacts of this crisis. This organization-wide effort will include a major research and scientific initiative; a consumer education and engagement campaign; updated internal corporate sustainability commitments; and innovative partnerships with like-minded corporations and non-governmental organizations (NGOs) from all over the world. 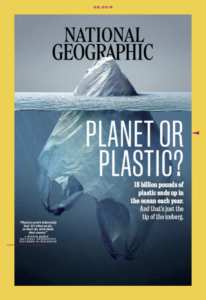 Today’s launch is tied to the release of the June issue of National Geographic magazine, which takes an in-depth look at the role single-use plastics play in our society and the impact they are having on our environment. Starting with this issue, National Geographic announced that it will begin wrapping the U.S., U.K. and India subscriber editions of the magazine in paper instead of plastic, with the goal of wrapping all global editions in paper by the end of 2019. The June issue is available online at natgeo.com/planetorplastic on May 16 and on print newsstands on May 29. PLANET OR PLASTIC? PLEDGE: Starting today, National Geographic will ask audiences around the world to take the Planet or Plastic? pledge, a commitment to reduce their use of single-use plastic. By taking the pledge, individuals will become part of a global community working together to stem the tide of single-use plastic polluting the ocean and will continue to receive information and tips to help them in their efforts. The pledge marks the beginning of a comprehensive consumer awareness and engagement campaign that National Geographic will execute across its multiple platforms in the months and years to come. Elements of this campaign will range from inspiring and informative content, ongoing consumer engagement activities, events and more. SCIENTIFIC RESEARCH AND DOCUMENTATION: The nonprofit National Geographic Society will embark on a journey to better document how plastic travels from source to sea and to fill critical knowledge gaps. Starting with an initial expedition in 2019 to study the type and flow of plastic in a river system, National Geographic will provide science-based, actionable information to help local and national governments, NGOs, businesses and the public more effectively invest in and implement innovative solutions. 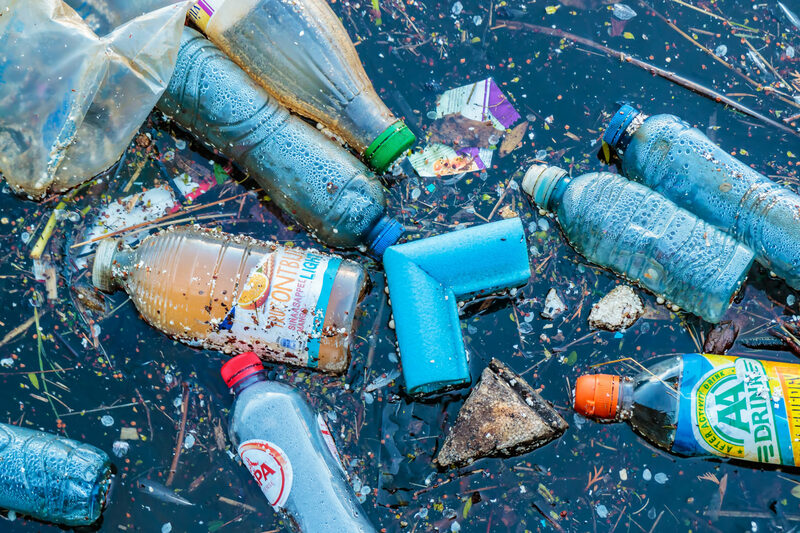 The Society is also sourcing solutions to the challenge of plastic waste through an existing Reducing Marine Plastic Pollution Request for Proposal (RFP). THREE-DAY SOCIAL TAKEOVER: As the No. 1 social media brand, National Geographic will use the power and reach of its platforms to educate people about the impact of single-use plastic and to encourage them to take the pledge. For the next three days, National Geographic will “pollute” its Instagram feed, @natgeo, with photos of the plastics crisis as well as animated Instagram stories to highlight the true impact of humanity’s pollution of the natural world. Today, @natgeo will feature photos taken by photographer Randy Olson, who traveled around the world to document the plastics crisis and is featured in the June issue of the magazine. On Thursday, May 17, actress and singer Zooey Deschanel (“New Girl,” She & Him), co-founder of The Farm Project, which recently commissioned the series, Your Food’s Roots, will curate National Geographic’s Instagram account, posting photos of the plastic crisis. On Friday, May 18, National Geographic’s photographers will be posting their own photos of the crisis. Also on Friday, Kathryn Kellogg, a writer and public speaker who lives a “zero-waste” lifestyle and focuses on the dangers of plastic pollution, will host a Reddit AMA (Ask Me Anything) about small, actionable eco-friendly steps that people can take in their everyday lives. Kellogg, who is featured in the June issue of National Geographic, has fit all of the trash that she has generated at home in the last two years into a 16-ounce jar. SKY COLLABORATION: Sky Media and National Geographic are joining forces in the fight to eradicate the destructive impact of plastic litter in the world’s oceans. National Geographic has committed $10 million to support the activities of Sky Ocean Ventures, an initiative launched by Sky Media to seek out investment opportunities in businesses that can help solve the ocean plastic crisis. Bringing to bear National Geographic’s scientific expertise, grants and media reach, the collaboration will identify and champion projects and groundbreaking technologies designed to reduce plastic waste and its impact on oceans. It will also support a series of events with industry leaders, corporations, institutions and foundations, engaging them around the issue of marine plastic pollution. Collectively, this new collaboration will create the largest global media campaign to date to reduce plastic litter in the ocean. CORPORATE PARTNERSHIPS: National Geographic will seek out and partner with a number of like-minded corporations and organizations that are committed to raising awareness about the enormity of the ocean plastic issue as well as to finding solutions. For example, The North Face, who is partnering with National Geographic to introduce a limited Bottle Source Collection, featuring shirts made from recycled plastic bottles diverted from National Park waste streams. The shirts will be available for purchase at TheNorthFace.com on May 23. S’well and National Geographic will unveil an assortment of co-branded bottles available for purchase beginning in June 2018. INTERNAL COMMITMENT: Finally, National Geographic will be taking steps to reduce its own reliance on single-use plastics. Starting with the June issue and moving forward, those who subscribe to the U.S., U.K. and India editions of National Geographic magazine will receive their issues wrapped in paper instead of plastic. This change will save more than 2.5 million single-use plastic bags every month. By the end of 2019, all global editions will be wrapped in paper instead of plastic. This is just one of many steps National Geographic is taking to reduce its own single-use plastic consumption. Over the next month, National Geographic will initiate a third-party audit of its single-use plastic use and will develop a timeline and action plan to further minimize single-use plastics in the workplace. The efforts announced today are just the beginning of this multiyear initiative. Next month, National Geographic Encounter: Ocean Odyssey in New York City’s Times Square, an entertaining and immersive adventure across the ocean from the South Pacific to the coast of California, will highlight this initiative during World Oceans Day on June 8. National Geographic Explorer-in-Residence Sylvia Earle will also be in New York City for the festivities to raise awareness about the damaging impact of plastic pollution in our world’s fragile oceans. On June 15, National Geographic will host a “Party for the Planet” as part of its annual Explorers Festival in Washington, D.C., a night dedicated to the elimination of single-use plastic. Get the latest updates on Planet or Plastic? HERE and join the conversation on social via #planetorplastic. National Geographic Partners LLC (NGP), a joint venture between National Geographic and 21st Century Fox, is committed to bringing the world premium science, adventure and exploration content across an unrivaled portfolio of media assets. NGP combines the global National Geographic television channels (National Geographic Channel, Nat Geo WILD, Nat Geo MUNDO, Nat Geo PEOPLE) with National Geographic’s media and consumer-oriented assets, including National Geographic magazines; National Geographic studios; related digital and social media platforms; books; maps; children’s media; and ancillary activities that include travel, global experiences and events, archival sales, licensing and e-commerce businesses. Furthering knowledge and understanding of our world has been the core purpose of National Geographic for 130 years, and now we are committed to going deeper, pushing boundaries, going further for our consumers … and reaching millions of people around the world in 172 countries and 43 languages every month as we do it. NGP returns 27 percent of our proceeds to the nonprofit National Geographic Society to fund work in the areas of science, exploration, conservation and education. For more information, visit natgeotv.com or nationalgeographic.com, or find us on Facebook, Twitter, Instagram, YouTube, LinkedIn and Pinterest.